The Caldicott inquiry has now cleared University College London and the students’ union Islamic Society of playing any part in converting the “Christmas Day bomber” Umar Farouk Abdulmutallab to violent extremism. But UCL is not the only institution to have been falsely accused of involvement in Abdulmutallab’s “radicalisation”. The North London Central Mosque (NLCM) in Finsbury Park has also come under attack, on the grounds that it supposedly hosted a lecture by Anwar al-Awlaki that was attended by Abdulmutallab. The source for this accusation was a garbled report in February this year by the US radio station NPR which informed its audience that Whitechapel Road was in Finsbury Party rather than Tower Hamlets, confused the NLCM with the East London Mosque and claimed that al-Awlaki had spoken at the mosque during a period when he was in fact in prison in Yemen. This did not prevent Khalid Mahmood MP taking up the NPR report in order to pursue his ongoing vendetta against NLCM. As its crudely populist title indicates, Terror Cops is hardly a substantial work of analysis on the subject of counter-terrorist policing. 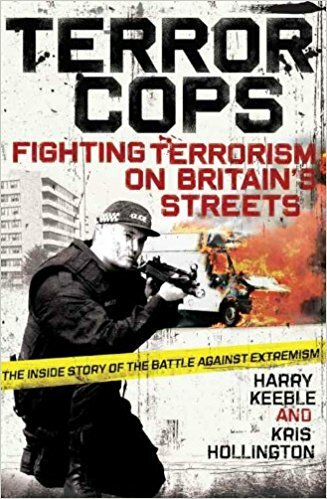 The pseudonymous author, “Harry Keeble”, was a very junior officer in “S” Squad who is able to provide a basic account of front-line police work but clearly knows little about wider issues of anti-terror policy. Such information about these issues as appears in the book does not originate with Keeble himself but has obviously been assembled from secondary sources by his ghostwriter, Kris Hollington, in an attempt to give the book a more authoritative tone. So a moment’s reflection should have led Gilligan to conclude that it was hardly likely Keeble would be in possession of hitherto unrevealed state intelligence about Abdulmutallab and al-Awlaki. Where, then, did Keeble/Hollington get the “information” about Abdulmutallab’s supposed contact with al-Awlaki at NLCM? You don’t have to look very far. The sole source given for the claim about Abdulmutallab attending an al-Awlaki lecture at NLCM was the February 2010 NPR report, and the Wikipedia entry has since been changed to reflect the fact that this report has been discredited. So the Terror Cops claim about NLCM, which Andrew Gilligan suggests might have been based on inside knowledge of intelligence withheld for some sinister reason by the Met, was just copied and pasted by Harry Keeble’s ghostwriter from a Wikipedia article. And the Wikipedia article that Hollington plagiarised has since been amended because the charge against NLCM in the NPR report was without foundation. Gilligan just repeated the Terror Cops allegation without bothering to check where it came from, because it assisted the attack he wanted to make on NLCM. Whether it was true or not was a matter of indifference to him. But this is par for the course with Gilligan. Rather than acting as a serious investigative reporter, he has increasingly revealed himself to be a malicious stitch-up merchant whose lightminded attitude towards evidence and baseless accusations against individuals and organisations he wants to hurt and undermine have brought the journalistic profession into disrepute.